This entry was posted in Dietary Restrictions, Family, Gluten Free, Recipes, Soups & Stews, Vegetables and tagged Fennel, Soup. Bookmark the permalink. I’m scared sometimes to try something new and fennel is a new to me. Thanks for the easy tips. You’re welcome, Christi. I was intimidated, too, but this one was pretty easy. Congratulations, she’s a little beauty! I also have yet to venture into the wide and (supposedly) wonderful world of fennel. I’m wary because I’m not a big fan of that licorice flavor, but I need to take the plunge one day (I’m always telling people to try new things and they don’t have to eat it ever again afterwards as long as they know for a fact that they do not like something). This soup sounds like a good way to ease into fennel, big flavors are mellowed out so nicely in potato soups. Liz, thanks for the congrats! 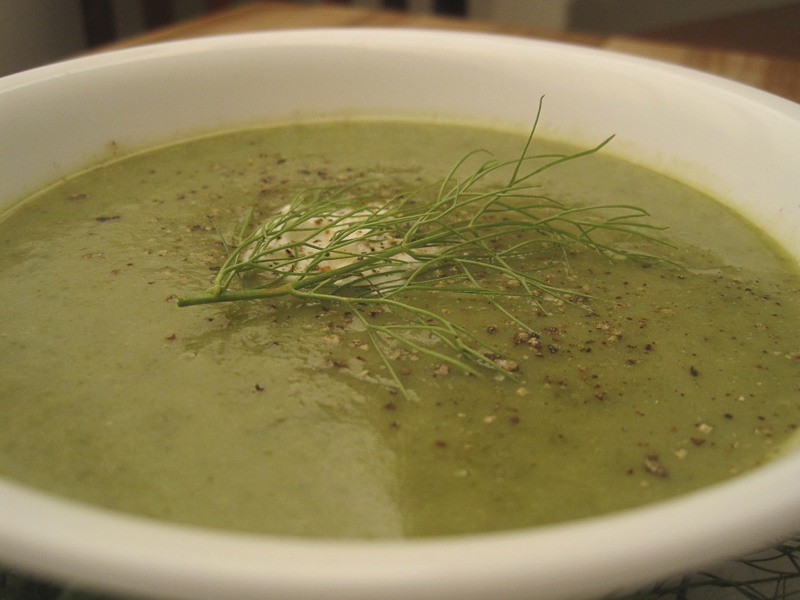 We are in love 🙂 As for the fennel, I feel a little guilty even including it in the title of this recipe; the flavor is completely concealed by the bright greens and mellow potato. I think it actually functions (and tastes) a lot like celery here: it’s just some nice background noise. I mad this tonight with a few adjustments. I didn’t have any milk, and I added some goat cheese and turnips. Tasty! Awesome! I think the goat cheese is a brilliant substitution. Brightens it right up. Do you have any other ideas for turnips? They confound me. I have roasted and mashed them, but that is about all. Let me know if you come up with something else for them. Roasting was quite tasty; it sweetened them a bit. And I have to thank you for allowing me to use up the fennel I got in my box. I was so worried it was going to rot away since I hate the flavor. The soup masked the licorice flavor. The soup looks delish- perfect for this time of year! 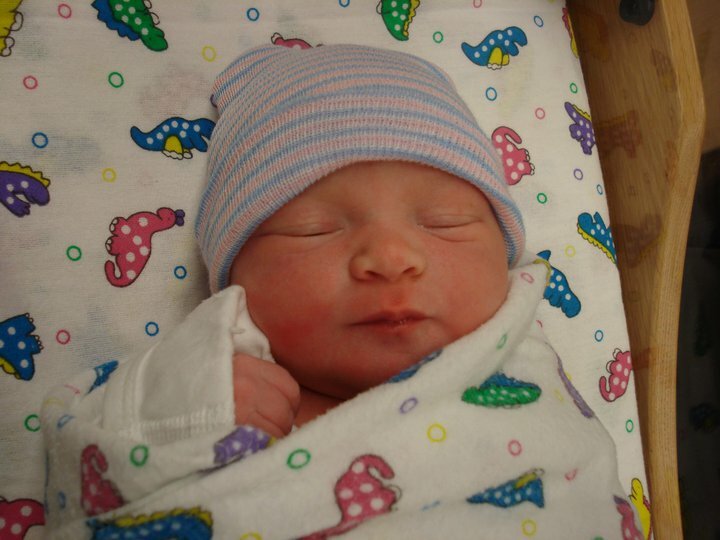 And congrats on your beautiful little niece! Congratulations on becoming an aunt! I think it’s an awesome thing and I’m not even technically blood-related aunt to my “niece” and “nephew”, but I think it still counts since I’m marrying their real uncle. 🙂 You’ll have some great times with the little one! She’s adorable!